A top priority of a Certified Pool Operator® (CPO®) should always be safety. Pool safety involves strict adherence to all safety regulations, guidelines and standards,, as well as having the right safety and rescue pool equipment at hand. Learning which equipment is essential for safety and rescue is a great starting point for someone taking CPO® courses. Keep in mind that pool equipment code requirements vary by location. The following equipment may be found in state and local codes but there may be additional requirements for pools with diving boards or slides, and vary from state to state. If a rescue needs to be made in the pool, it must be equipped with a reaching pole that adheres to code requirements. The reaching pole should be light yet strong, non-telescopic and no less than 12 feet long. In many regions, a 16 ft reaching pole is required. There must also be a securely attached body hook or shepherd’s crook pole with blunted ends. Finally, they must be made of a material that doesn’t conduct electricity. Another vital piece of equipment used for rescues, the ring buoy, must be US Coast Guard-approved with a diameter of 15-24 in. The buoy must be attached securely to a throwing rope with a diameter of ¼ – ⅜ in. Also, the throwing rope must be at least ⅔ of the width of the pool. The rescue tube is a piece of pool equipment to be used by lifeguards overseeing activity in the pool. There must be at least one tube for each lifeguard on duty. A webbed towline or a polypropylene line should be attached to one end of the tube. On the opposite end of the towline should be a method that can be fastened around a person who is being rescued. In addition to pool equipment designed to prevent accidents from happening, a pool should have a way to transport injured swimmers. The pool equipment used for this is a backboard with no less than 3 tie-down straps as well as a head immobilizer. The immobilizer helps prevent further back and neck injuries once the swimmer is strapped in. 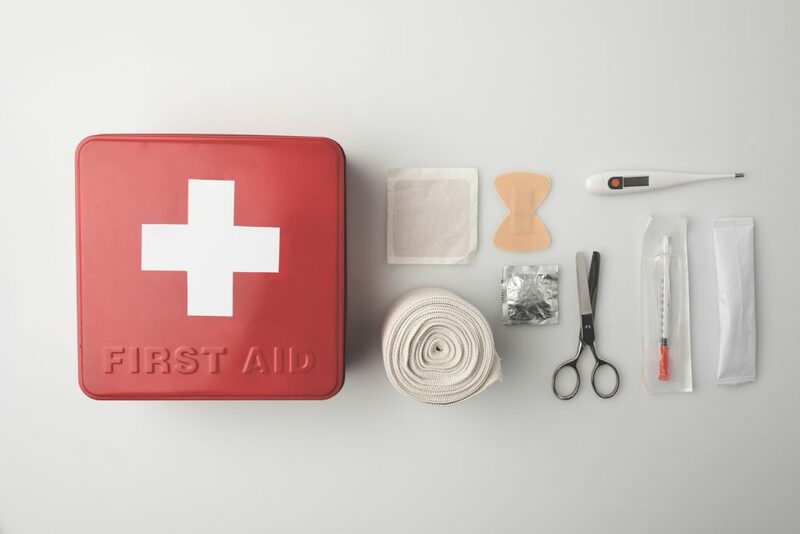 Another piece of equipment to be used in the event of an accident is the first aid kit. The kits must also be stored in a weather-resistant container and must always be completely equipped and ready for use. Also, these kits should contain disease transmission barriers and cleansing kits that meet OSHA standards. 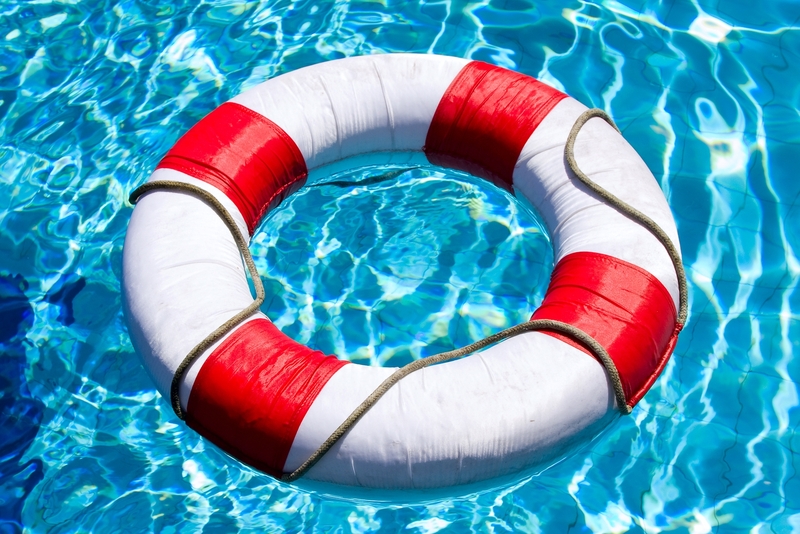 More equipment to be considered for swimming facilities is Automated Defibrillators, mechanical and manual suctioning devices, resuscitators, and survival blankets. The Automated Defibrillators are used in the event that someone at the pool goes into sudden cardiac arrest. Those operating the Automated Defibrillator must be properly trained. The suctioning devices are used when there is something blocking a victim’s airway. The device helps clear the airway, allowing the person to breathe. Resuscitators are used instead of performing mouth-to-mouth on a victim of an accident. They offer a more efficient way of delivering oxygen into the victim’s lungs. Finally, survival blankets are used to aid shock victims or those with hypothermia. While this is not a 100% comprehensive guide to all pool equipment and code regulations vary from place to place, but it serves as a great jumping off point for those looking to become a Certified Pool Operator®. For award-winning CPO® courses, go to Pool Operation Management. We offer extensive two-day courses that provide comprehensive coverage of all topics in pool operation. Contact us today for more information.